In an area full of stunning forests, valleys and rivers, skiers and snowboarders have much to enjoy in Voss. The region is in between the glorious fjords of Sognefjord and Hardangerfjord and boasts a wide variety of exciting activities to enjoy. Thanks to these amazing options, Voss has established itself as the number one adventure destination in Norway and attracts thousands of visitors every year. 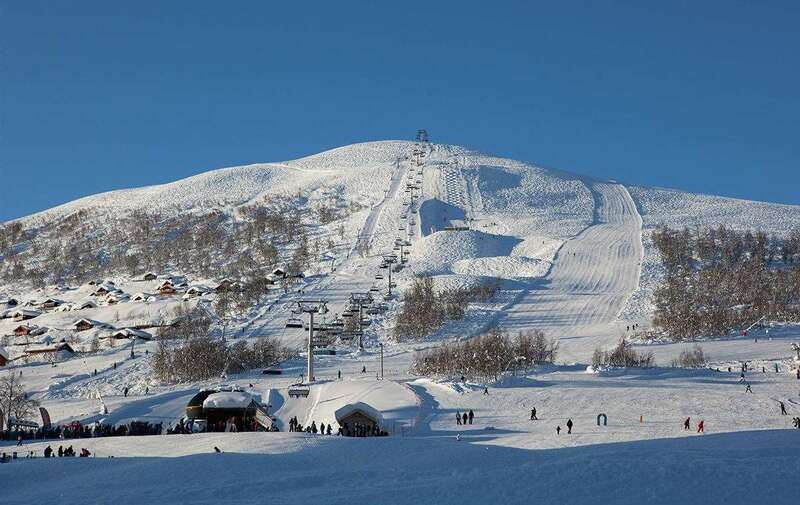 Voss ski resort is situated close to Voss village centre and offers a variety of activities that have helped to make it one of the most popular resorts in the country. There is a variety of things to do off the slopes, ranging from hiking and mountain biking to kayaking and canyoning. You can rest assured that the hospitality and customer service offered across the site is among the best in Europe. It is a family-friendly resort and the perfect place for those who are looking to get into skiing, or want to develop their basic skills. The season runs from December to April and skiers can expect excellent snow coverage on some wonderfully well-groomed runs. Voss gets an average of 540cm of snow a year making the resort extremely attractive to adventurous riders in search of powder and back country tours. There are limited alpine slopes in Foss but the 21 slopes provide a variety of fun options for all ski and snowboard levels. In addition, there is a terrain park and 74km of cross-country skiing for those looking to explore the wonderful environment. As well as this, there are three separate areas designed for children, along with a ski school to help beginners familiarise themselves on the slopes. With the runs offering truly unbelievable views that will make for some truly picturesque skiing. 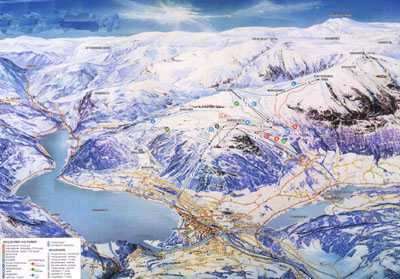 Away from the slopes, Voss is full of fantastic things to do once you have had your fill of the snow. The most popular bars in the resort include Tre Bor, the Minigolfen Pub and Cafe and Fredrik’s Bar, while an excellent market is available in nearby Simonsplass. If you’re looking to keep the adrenaline flowing, the local indoor skydiving centre is a fantastic place to visit, while husky rides and glorious winter trails are also available. A day trip to Bergan is a must and you can also take a ride on the famous Fläm railway. Bergen Airport Flesland is the nearest airport to Voss, situated around one hour away.